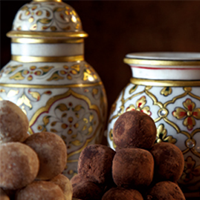 Sharkara candied Amla fruit. 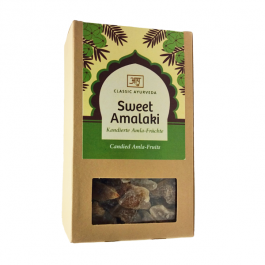 Only selected Amla fruit is prepared and candied in Ayurvedic candy sugar ( Sharkara ). 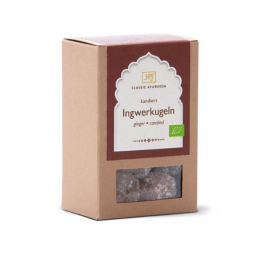 A delicious sweet - sour experience for snacking or whenever there is a cravings for sweets. The Indian Gooseberry belongs to the Euphorbiaceae family. This fruit ripens in the autumn in wet, forested, hilly areas on the Indian subcontinent. In India it is considered a sacred tree. The fruit is very nourishing, but it tastes sour. Both dried and fresh fruits can be consumed for their health benefits. It provides remedies for many diseases, so it is widely used in Ayurvedic treatment. 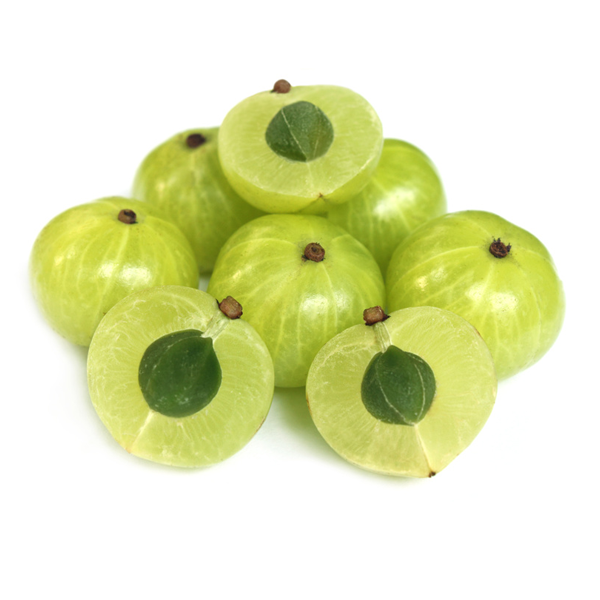 The 'Indian Gooseberry' is very rich in Vitamin C, and contains many minerals and vitamins like Calcium, Phosphorus, Iron, Carotene and Vitamin B Complex. Amla is also a powerful antioxidant agent. Many health problems are caused by oxidative damage (when body cells use oxygen, they produce by-products called free radicals that can cause damage). Antioxidant agents prevent and repair these damages. Vitamin-C is a good antioxidant agent, which makes gooseberries a powerful tool against a variety of conditions. Vegan, peanut free, gluten free, lactose-free, nut -free.